Running low on ideas on how to spend your weekends? 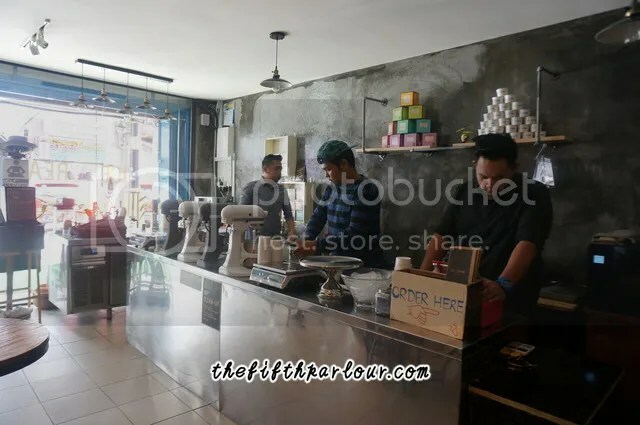 With many new and fascinating cafes opening in Johor Bahru (JB) and the current conversion rate of RM2.6 : 1 SGD, crossing over to the other side for a quick getaway might just be the thing for you! 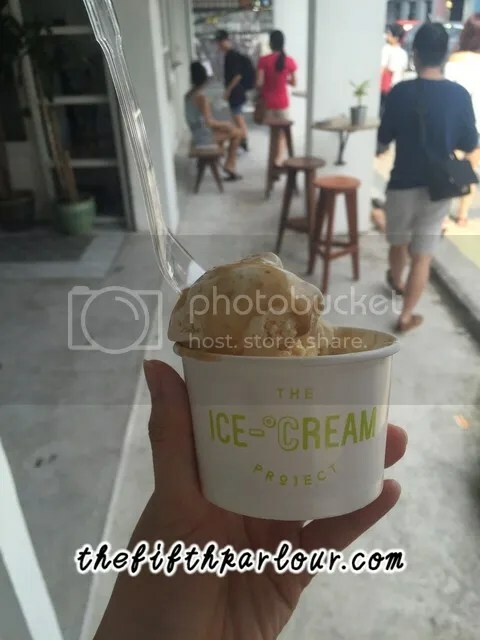 My friends and I headed over to JB recently and tried some of the cafes at the widely popular hipster street – Jalan Dhoby. All the cafes listed are located near Johor Bahru City Square and within 10 minutes walk away from the Checkpoint. The Replacement – Lodge & Kitchen is brought to you by the same people behind Faculty Of Caffeine. 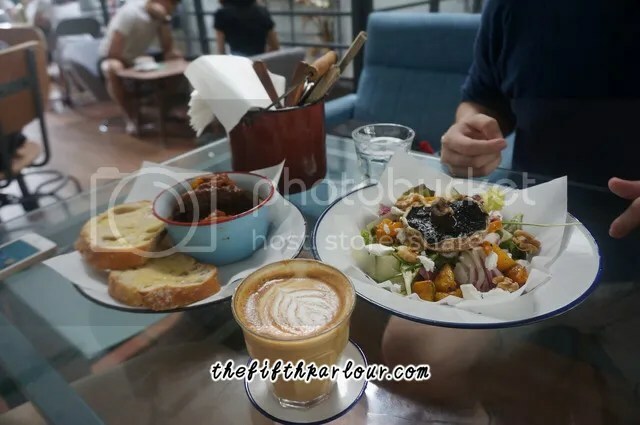 One of the hottest cafes in JB at the moment, you will see this cafe topping most of the must-visit JB cafe-hopping lists! The cafe is distinctively recognisable for their modern interior and rustic wooden furniture. OUR VERDICT: The latte (not pictured, RM10) was a tad too milky and lacked the punch a cuppa coffee’s supposed to give. 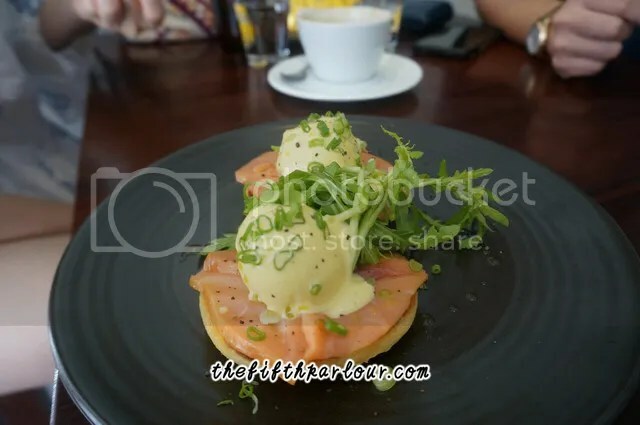 The Eggs Benedict was a little disappointing – despite the hollandaise sauce being on point, the egg was overcooked and the yolk was not runny. 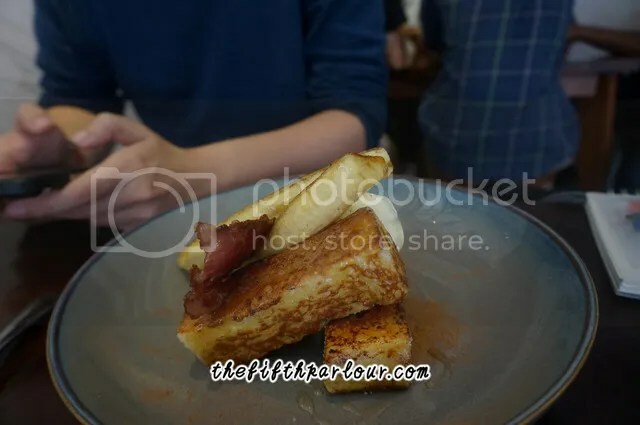 Surprisingly, the B &B French Toast stole the show with its crispy chunks of French toast, caramalized bananas, strips of bacon and scoop of vanilla ice-cream. The savoury dish was heaven in the mouth. WORTH IT? : YES. While I might have reservations ordering their coffee and mains the next round, I really enjoyed the dessert. We did not get to order the cafe’s signature Salted Egg Yolk Churros too, so we would be back the next visit to try it! 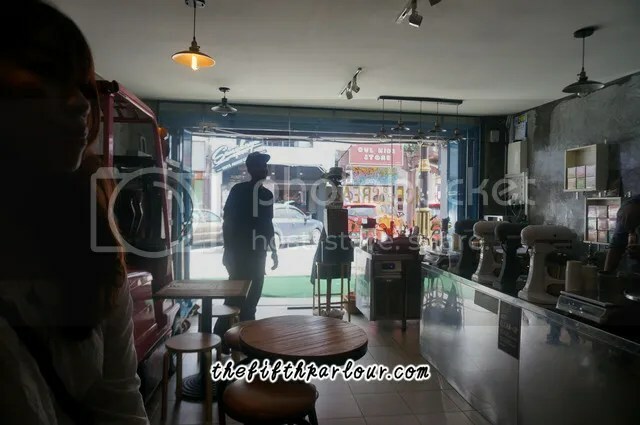 Flowers in the Window is a relatively new addition to Jalan Dhoby, having opened their doors at the end of January. 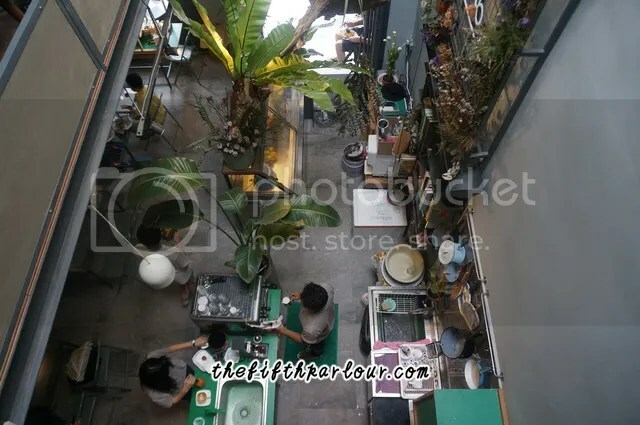 Located along the stretch of shophouses opposite The Replacement, Flowers in the Window is a 2-storey cafe that is easy to spot with its unique garden setting. With an indoor garden and an open kitchen – patrons would feel very much at home in this whimsical space. 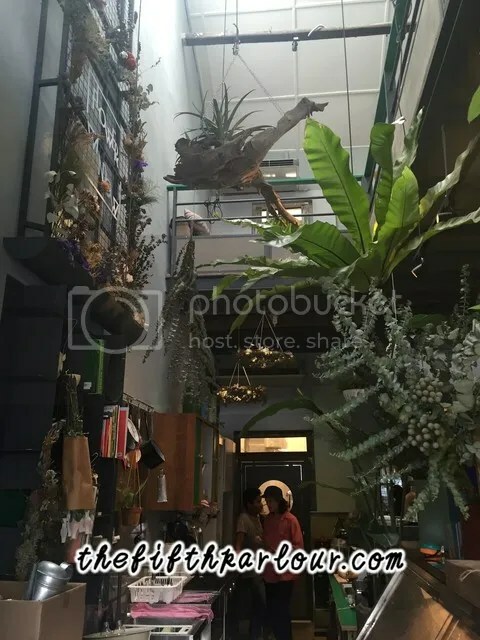 There are many flowers and potted plants positioned meticulously around the cafe which calls for many instagrammable spots! OUR VERDICT: The Miso Beef Stew was delightful. It is tender beef chunks and well-balanced miso keeps you wanting more and the sourdough was a perfect compliment to the stew. 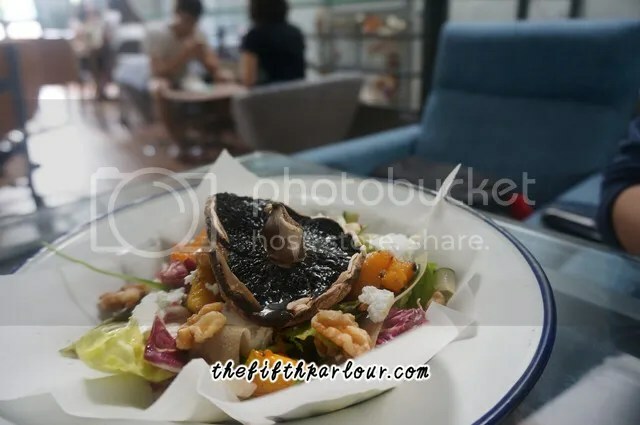 The Portobello Mushroom had interesting flavors with its mix of nuts and leafy greens and huge mushroom. The latte was decent and aromatic. WORTH IT? : YES. The mains we tried showed us what the cafe has to offer and we are excited to try out more on their menu. From what we heard, the café is aiming to incorporate edible flowers in their dishes. The homely ambience of the cafe made it a comfortable stay for us and it was a good place to chill and hang out. Just a short walk away from Flowers in the Window lies The Ice-Cream Project. Shortened and referred to by many as simply TIP, the cafe also has a wide selection of Gryphon Artisan Tea for the tea lovers! OUR VERDICT: We were slightly disappointed with the underwhelming number of flavors – TIP offers only 5 signature flavors. However, they make up for the lack of variety with quality ice-cream. The scoop of butterscotch that we ordered was simply delicious. It was consistent in richness and smooth in texture with added chunks of sugary-goodness (we’re not sure if it was crushed praline or honeycomb that we tasted but it was awesome). WORTH IT? : YES. The generosity of the scoop made it worth the money and the quality of the ice-cream made it worth the calories. 1) Travel early! We recommend leaving for JB in the morning before 10AM. 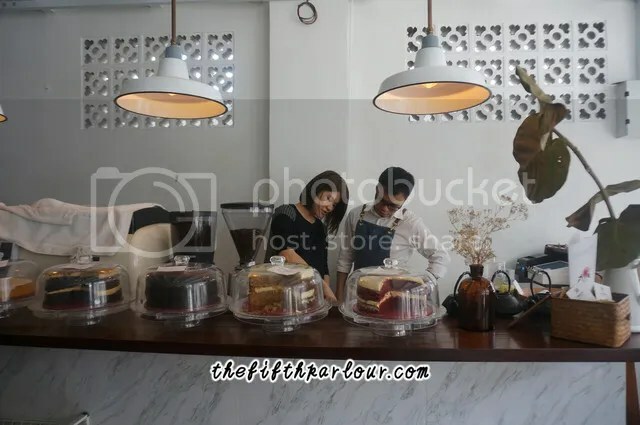 If you plan on cafe-hopping, traveling early gives you sufficient time to comb and explore the various cafes in depth instead of just grabbing food and going off. It also gives you an allowance in the case of a causeway jam – so that by the time you set foot in JB you’d still be able to make it in time for lunch! 2) Avoid traveling on public holidays! If possible, try to travel on non-public holidays instead. Imagine inching along the causeway for 6 hours (a personal experience to JB last year). The causeway jam on public holidays can get wrath-inducing and might potentially ruin future experiences of traveling to JB.